Evil is brought to life in this psychological thriller starring Zoe Saldana (Avatar) and Patrick J. Adams (TV’s “Suits”). 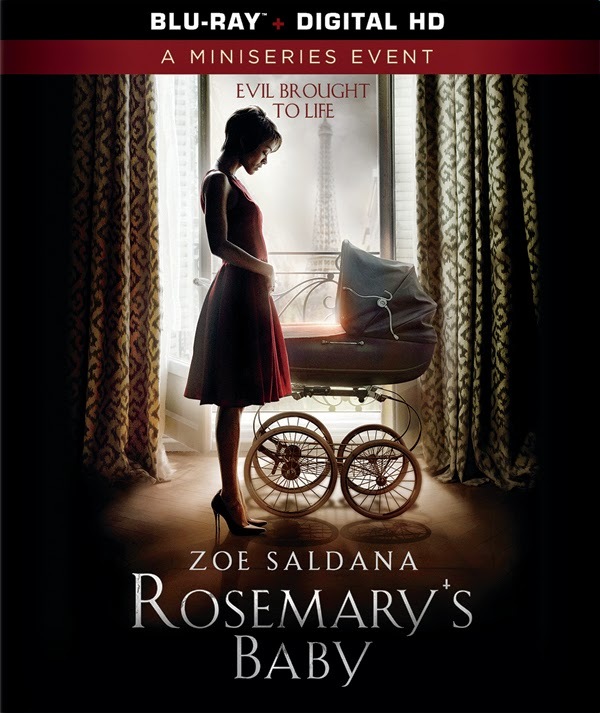 The miniseries event Rosemary’s Baby premiered on NBC and arrives on Blu-ray™ (plus Digital HD), DVD (plus Digital) and Digital HD August 19, from Lionsgate Home Entertainment. Based on the best-selling suspense novel by Ira Levin, Rosemary’s Baby features a teleplay by James Wong (TV’s “American Horror Story”) and Scott Abbott (Queen of the Damned) and is directed by Agnieszka Holland (HBO’s “The Wire”). Also starring Jason Isaacs (the Harry Potter franchise) and Carole Bouquet (For Your Eyes Only), the Rosemary’s Baby Blu-ray and DVD each include two featurettes. Set in present-day France, Rosemary’s Baby centers on a young married couple that escapes New York and moves to Paris with hopes of leaving their sad past behind. After a series of unfortunate events, Rosemary and Guy Woodhouse are presented with an offer they can't refuse – an apartment at the most prestigious address in the city. Problem is, it comes with a haunted past, and an immeasurable price. It is not they way you remember Rosemary's Baby... it's well acted and shares up a lot more and steps away from the original film. It takes shape and gives you a darker feel on how we all come to terms with... well the baby!